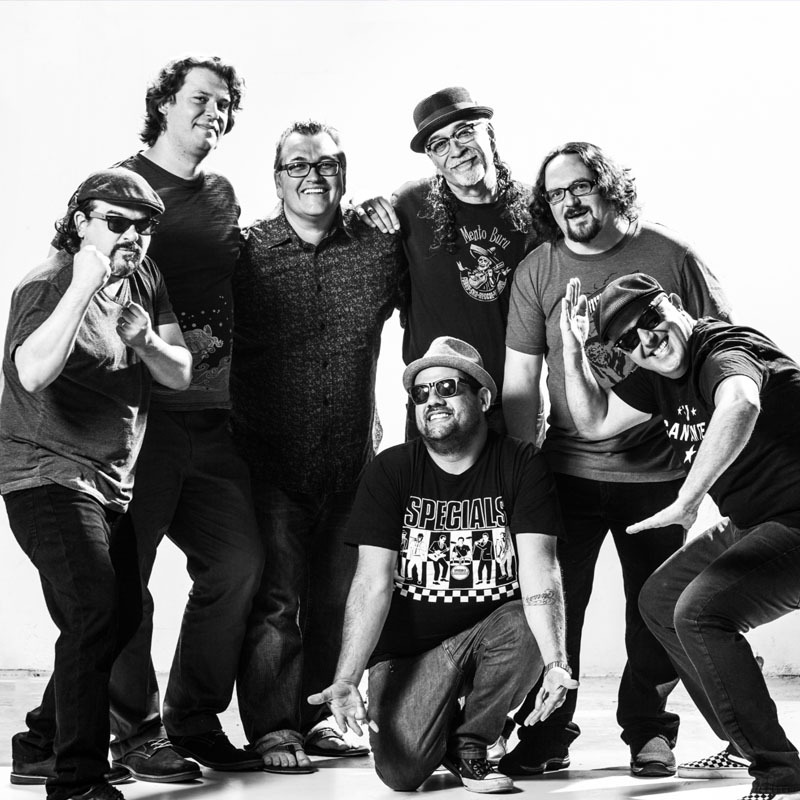 Mento Buru is an 7-piece band that combines Jamaican SKA, rock, funk, salsa, hip-hop, jazz, and punky reggae creating a maddening musical experience. What started out as just a bunch of friends jamming for backyard parties, has evolved into a cross-cultural phenomenon all over California! Born during the grunge and depression era of the early 90s, Mento Buru was all about having fun playing the music we love, without gimmicks. Whether you're into Punk, Country, Rockabilly, Cumbia, Salsa, Reggae, Ska, Oi!, Emo, Goth, Metal or whatever weird names they come up with next, you'll find yourself welcome at the Mento Buru show. As always, musicians are always welcome to join in. Music for the people, by the people. Try it, you'll like it!